Academy award winner Charlize Theron attended the world premiere of her new action thriller “Atomic Blonde” in Berlin on Monday. Theron stars as spy Lorraine Broughton, who has been sent to the city in 1989, just before the fall of the Berlin Wall, to recover a list which contains the names of double agents operating in the city. She partners with embedded station chief David Percival (James McAvoy) to navigate her way through a deadly game of spies. It’s a world of double crossing, where only the smartest and most skillful will survive. Speaking at the premiere, Theron said she wanted women to be able to play by the same rules as men. Theron went through intense training for the film. “You just train, you show up and put in the hours, and it hurts, and then you come back for more,” said the actress on the red carpet. Sofia Boutella plays a French spy and the love interest of Theron’s character. 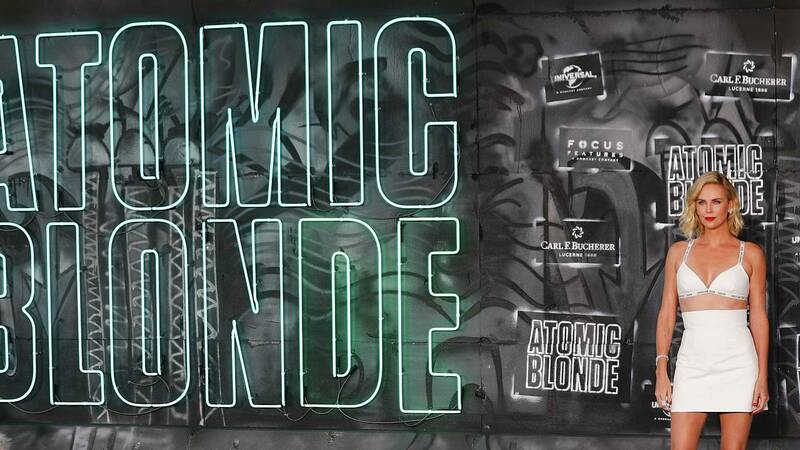 Atomic Blonde is directed by David Leitch, and also starring John Goodman, Til Schweiger, Eddie Marsan and Toby Jones. Kurt Johnstad wrote the screenplay. The film, based British comic novel “The Coldest City” by Antony Johnston and illustrator Sam Hart is released over the summer around the globe.